CoASt Members go to Jasper with Two Brothers Pole! 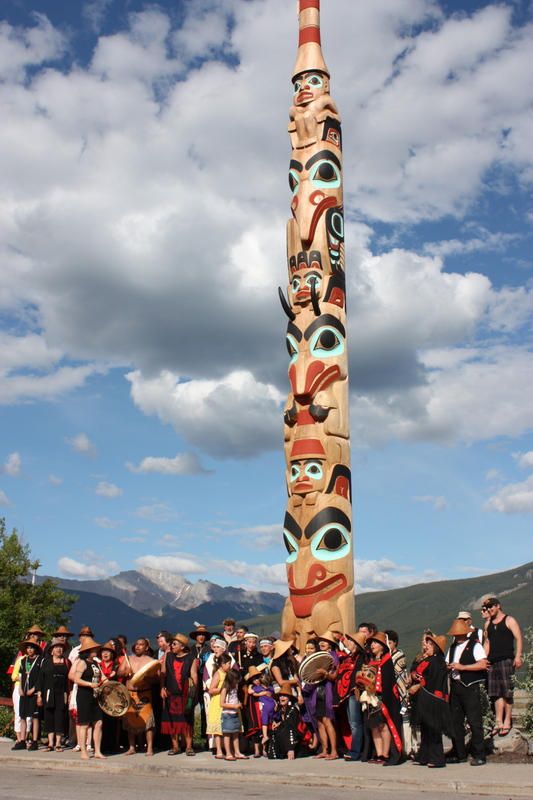 July 16th saw the raising of the Two Brothers pole by Jaalen and Gwaai Edenshaw in Jasper, Alberta and CoASt was there to help celebrate! 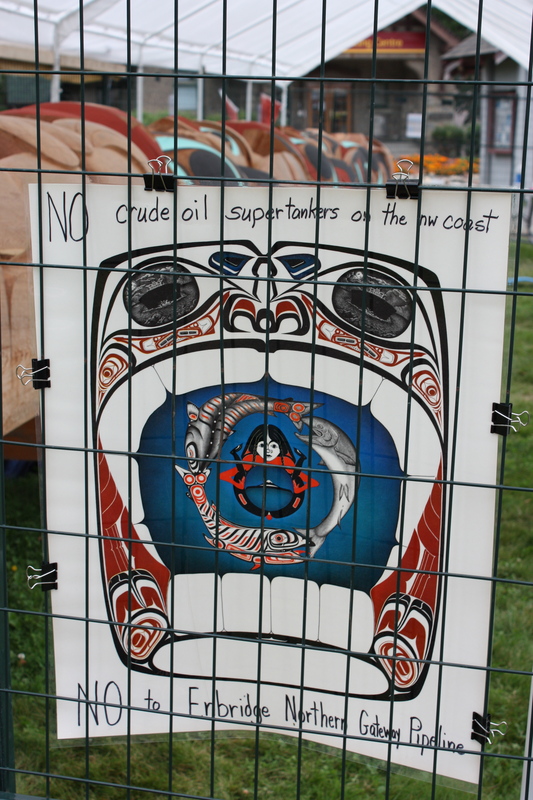 The Haida presence was strong in Jasper, with nearly 80 people attending from the Islands, and thousands more witnesses from around the world. In the two weeks leading up to the raising, the final touches were put on the pole at the “Carvers in Residence” in the heart of the Jasper Townsite amidst a constant flow of inquisitive onlookers. 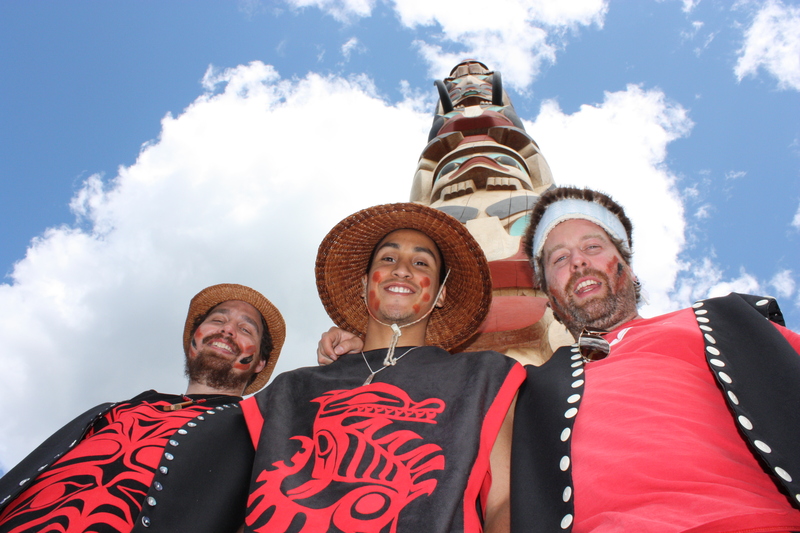 On Saturday, local First Nations welcomed the Haida in a ceremony that included a Nations’ Grand Entrance, speeches, gift exchanges, traditional dancing, and finally, the pole raising. Throughout the day, Jenny Nelson kept CoASt’s presence, handing out material on the proposed Northern Gateway and inviting people to sign our petition to Premier Christy Clark. We collected 150+ signatures of First Nations, Albertans, and international visitors — a great show of support to protect our coast! Thanks to everyone for helping to bring CoASt’s cause to Jasper!